Stampin’ UP! Crackle Let it Ride! Well. It’s here! This is the day I head to OnStage! Finally!! When I arrive I’ll head right to the convention center to do my dress rehearsal – gulp! – and then Amy and Sue and I will go to CenterStage tonight! Where…we’ll get an early look at the new 2019-2020 Annual Catalog!! Whoo-hoooo!! I made a fun card for you today – totally not my normal style – as the result of a color challenge. I used the Let It Ride and Crackle Paint stamp sets. Do not adjust your dials. I have taken over your screen. This card is exactly how it looks in the pictures. Black. And White. Take a look-see. Good morning, y’all! Hope your work week – or retired week! – is going well. Fall has arrived in GA – and I am ever so grateful! One of the coolest things about the Snowflake Showcase is the wide-ranging versatility of the products. Fall – Winter – Christmas. Encouragement. Congratulations. You’ll find all of it inside! You’ve still got time to get in on my special bundle and gather up all the Snowflake Showcase products for yourself. But time is running short – I’ll be shutting off the special soon! I started with a Dapper Denim panel and stamped the wonderful perfect awesome Pine trees image (y’all – I have a new favorite!!) across the panel about mid-way down. I stamped the image twice without re-inking several times, to create a forest. Then I pulled out my Whisper White Craft Ink pad. I stamped the moon first and then started adding “snow” – this is a wonderful image in the Waterfront stamp set. I also added drifts of snow across the bottom. Once I had it as snowy as I wanted it to be, I Fast Fuse’d the panel to a Whisper White mat and then to a Dapper Denim mat. I used some Liquid Glue to adhere a few loops of Whisper White Solid Baker’s Twine to the card front in preparation for the rest of the elements. I stamped the Waterfront sentiment in Whisper White Craft Ink on a piece of Dapper Denim and cut it out with a Stitched Shapes Framelit. When it was dry, it was a little lighter than I wanted – so I traced the words with a non-Stampin’ Up! White Gel Pen. I also cut a larger circle of Dapper Denim with a Stitched Shapes Framelits die, and stamped more of the Waterfront trees in Dapper Denim. Finally, I cut a slightly larger scalloped circle in Whisper White and a snowflake from the Seasonal Layers Thinlits. I adhered all the pieces together with Liquid Glue and popped it over the Baker’s Twine with Stampin’ Dimensionals. A White Perfect Accents dot in the middle of the snowflake finished off the card front. On the inside, I stamped the second sentiment from the Waterfront set in Dapper Denim on a Whisper White panel and added more of the trees across the bottom. I Fast Fuse’d the panel to a Dapper Denim mat and into my Thick Whisper White card base, popped the card front on with Stampin’ Dimensionals and the card was done! …and then I added more snow – in Dapper Denim – across the envelope flap. Et Voila! Y’all!! Oh. My. Goodness! This was a stamp set that instantly drew ooh’s, aah’s and a really unseemly number of whoo-hooo’s when it was introduced at OnStage. And I guess you can see why! I LOVE this set!! And I hope you do, too – and are busily clicking on it in the product list below to get it for yourself!! P.S. Only a few more days to get your name in the pot for one of three uber-cool Blog Candy packages! Here’s the link…head over to see what’s up for grabs and what you need to do to be eligible! I’m offering Double Peppermint Reward Points for orders over $50 (before shipping and taxes) between today and the 10th of January!! Don’t miss your chance to earn extra points towards a FREE $40 gift of your choice! When you gather up 16 peppermints, you’ll be able to select any product (or products!) valued at $40 and I’ll ship it directly to you for free! Normally, you earn one peppermint for each $25 you spend (before shipping and taxes). During this special – you’ll get TWO for each $25 when you spend $50. 🙂 Of course – you’ll also be earning a Sale-A-Bration goody with each $50 you spend!! Consider me your own Personal Shopper – but… I’m giving you about a 15% savings on each bundle over the price you’d pay if you bought the goodies on your own. All the bundles include FREE Shipping and will come directly to you. As a bonus – you’ll get a free gift from me when you order!! Or two free gifts…read on to see what I mean… and I’m also letting you cash in on Sale-a-Bration FREEBIES! 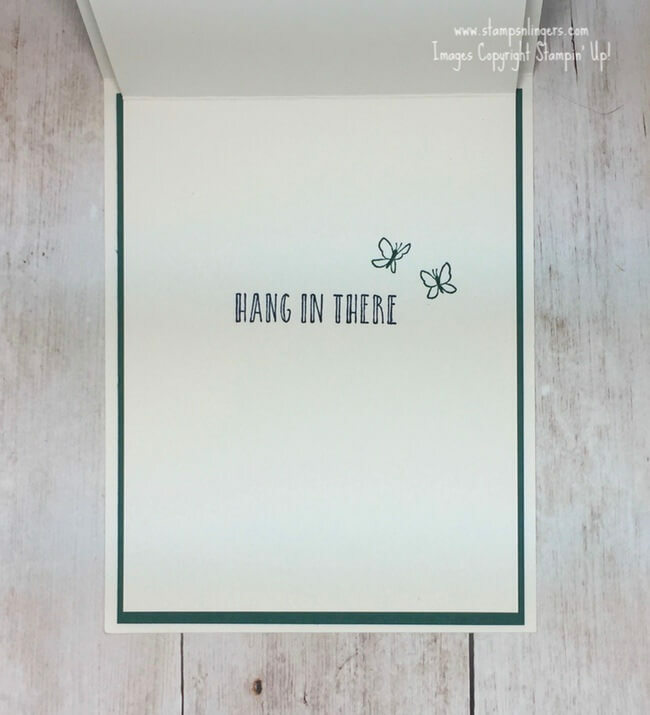 I’ll also add in a pack of the new Whisper White Narrow Note Cards and Envelopes (they’re on page 19 of the Occasions Catalog) when you place an order for one of these bundles. So – if these look good to you, head over to my Stamps-N-Lingers 2018 Occasions Catalog Bundles page and fill out the form you’ll find there. There are also pictures of the bundles! And – since it’s Sale-A-Bration time – I’m going to let you reap those benefits, too! After each bundle you’ll see noted the number of SAB items that will come with that bundle (Level 1 and/or Level 2) – so please type which ones you’d like into the box in the order form! If I have any questions, I’ll drop you an e-mail! If you don’t have your own copy of the Occasions Catalog or Sale-a-bration brochure – drop me a line here on my Contact Page and I’ll get a set in the mail to you ASAP! Stampin’ Up! also has an exciting new announcement for this year: They have a new reward level, giving you more flexibility and options for you free items! If you join as a Stampin’ Up! Demonstrator during Sale-a-bration, you get to pick $125 in Stampin’ Up! merchandise in your starter kit for only $99 plus applicable taxes AND you get your choice of TWO additional stamp sets for your kit—any stamp set, any price (*excludes bundles and Sale-A-Bration sets). Plus, the kit ships for free! If you’re interested in joining as a Demonstrator, we’d love to have you join our team! There’s no commitment and no penalty if you decide that being a Demonstrator isn’t right for you. Why not give it a try? We have a fun Facebook page where we chat a lot and we do virtual meetings monthly and in-person meetings quarterly. Drop me a note at stamps-n-lingers@comcast.net if you have any questions. It’s been rather miserably cold here. Now – admittedly, we have no snow (which you can decide if that’s a good thing or a bad thing – we kind of like not having snow!) – and we’re not in the middle of a “bomb cyclone”. Who named it that anyway?!? But – it’s cold. And one of the consequences of the cold is frozen water troughs and buckets for the horses. Which leads to lots of giant…ICE CUBES! All over the place (from where we toss the ice out). Well. The man loves him some ice cubes! When we get ice out of the freezer in the house he hears it and comes running to get one. Imagine…ice cubes from horse water! Just a little icky and oh-so-yummy to crunch and munch. Hey, y’all! Welcome to Tuesday and another fun challenge from Stamp Ink Paper! Our Stamp Ink Paper Challenge #130 this week is a theme challenge…Just Say No To Christmas! I was glad to have a solid excuse to not do a Christmas card today – you know, other than the obvious it’s-pretty-late-to-try-to-send-a-Christmas-Card reason! And it really opened the door for another 2018 Occasions Catalog Sneak Peek! Looks pretty standard, doesn’t it? Well – it’s hiding a little secret. A secret that I saw on Lisa Curcio’s blog site. It’s a double-front card – check what happens when you raise up the circle art panel… It’s a second card front! There’s still more to reveal, so read on! I rather loosely used the sketch challenge at Sunday Stamps to help me make my – double! – card front! I started with a Very Vanilla card base – regular A2 size – and cut the front panel off at 2 7/8″ from the fold. Card base #1! Then I cut a second Very Vanilla card base at 3 7/8″ x 10 1/4″ and scored/folded it at 5 1/8″. I Fast Fuse’d a Tranquil Tide card stock mat to the inside of the larger card base #1 and then Fast Fuse’d the back panel of the smaller card base #2 to that. Did that even sort of make sense? I matted a small rectangle of the True Gentleman DSP (avail 3 Jan) on a Tranquil Tide mat and then to the short front piece on the outer card. My art piece is a Very Vanilla panel cut with the largest of the Stitched Shapes Framelits circle dies. On that, I stamped one of the pretty hanging baskets from the Hanging Garden stamp set (avail 3 Jan) in Versamark. I sprinkled it with Copper Stampin’ Emboss Powder and heat embossed it with my Heat Tool. I used Tranquil Tide, Night of Navy and Crushed Curry Stampin’ Write Markers to color the basket and then stamped some Tranquil Tide butterflies (from Hanging Garden) around the basket. 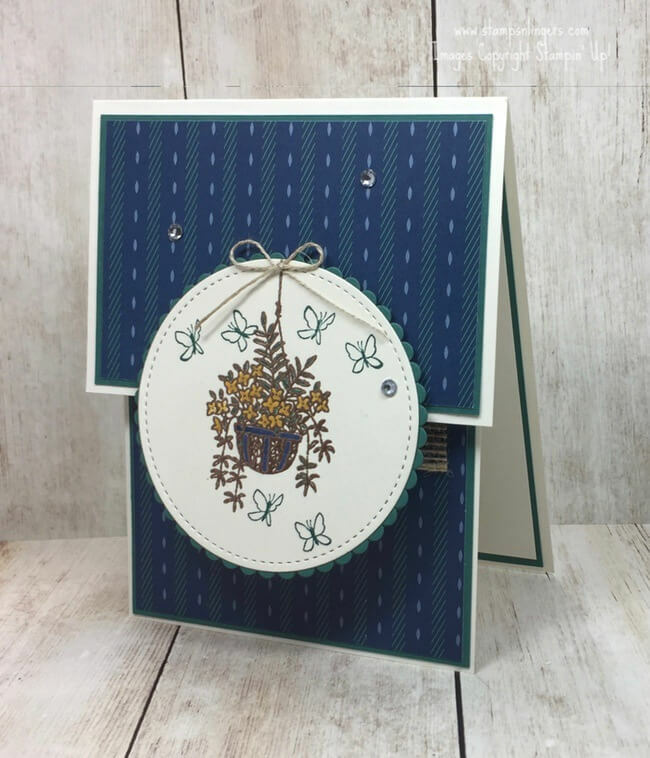 I matted the circle on a Tranquil Tide scalloped circle cut with the Circles Layering Framelits and then popped it onto the short card front panel with Stampin’ Dimensionals. I added a few Rhinestone Basic Jewels and a tiny Linen Thread bow and the card front (the first one!) was done! On the second card front, I added a length of 5/8″ Burlap Ribbon with some Liqud Glue. Over that, I added a sentiment banenr – cut from Very Vanilla and stamped in Night of Navy with the sentiment from Hanging Garden. The ends are snipped with my Paper Snips and I edged it with my Tranquil Tide Marker. And that was it for card front #2! On the inside – which is the inside of the inner card (card base #2 – LOL), I used my Stamp-A-Ma-Jig to stamp a second sentiment from Hanging Garden in Night of Navy. I added another butterfly image in Tranquil Tide – and that was it! The card-within-a-card was done! …and some more of the True Gentleman DSP on the envelope flap. Et Voila! Isn’t Hanging Garden a gorgeous stamp set!? It’s got wonderful sentiments and beautiful images – winner winner! I love the True Gentleman DSP, too – so subtle and quiet! And this is a fun – and easy! – fun fold that will surprise your recipients! Hope you like! The Hanging Garden stamp set and True Gentleman DSP will be available on 3 Jan! We Hoo-mans are creatures of habit. Finn and I start the day with coffee (me) and a little nap (him). We brush our teeth (me) and put on our collars (him). We set out the buckets (me) and check for any new tasty bites on the aisle floor (him). The ponies come in and eat and we drive the golf cart around the fenceline (me) and check for wascle-y squirrels/ducks/deer/bugs (him). Upon returning to the house to wait for the horses to finish their breakfast, we have another cup of coffee (me) and survey our world from the seat of the golf cart (him). With few exceptions! I invite him to come in with me and he quite politely (but firmly) declines. Guess he’s a Hoo-man of habit, too. Stampin’ Up! Magical Mermaid Memories and More! Happy happy HAAAAAWWWWMP Day!! Hope your week is going well! First the big news, in case you missed it yesterday! The DAISY PUNCH IS BACK IN STOCK! Don’t know for how long – hopefully for good, but…I sure wouldn’t hang too long before you snap it up! Here’s a link to them in my Online Store (don’t forget to add the host code, y’all!!). Happy Saturday, y’all! Winter appears to be making one last ditch effort to freeze us out here in GA.
Well – freeze may be a bit of an over-statement. It was 44 here on Friday. But compared to the almost-90 two days before….it feels like winter! Windows closed again, heat instead of A/C. I kind of rebelled and did a spring-y card with a new Host-Exclusive set called Feathery Friends. I showed this one on my Facebook Live video yesterday. Oh – you didn’t see it? Well….that might be cuz I screwed up and did it on my personal page instead of my Stamps-N-Lingers business page. Sheesh, Mare…. If you missed it – and would like to see the goodies in my second pre-order box, you can see it right here on YouTube…. The layout was inspired by the challenge this week at CAS(E) This Sketch. And I used the color combination from the TGIF color challenge. I started with a Very Vanilla panel and heat embossed the Feathery Friends flower image in Copper. Then I used a combination of Blender Pens (picking up ink from the lids of my ink cases) and Stampin’ Write Markers to color the image in Emerald Envy, Crushed Curry and Flirty Flamingo. Using my Stamp-A-Ma-Jig, I added the sentiment (which I absolutely love!!) from Feathery Friends in Flirty Flamingo. To finish off the card front, I added a few Crushed Curry Glitter Enamel Dots and SNAILd the panel to a Flirty Flamingo mat. I really hemmed and hawed – cuz I wanted to use the bird image on the front – even heat embossed one of the birds in copper and fussy cut him! But I decided to leave the floral image as the main event on the front and add the bird on the inside. I heat embossed him in Copper Stampin’ Emboss Powder in the corner of a Very Vanilla panel. Then I colored him with my Crushed Curry and Flirty Flamingo Stampin’ Write Markers. I SNAILd the panel to a Flirty Flamingo mat and into my Emerald Envy card base, popped the card front on with Stampin’ Dimensionals and the card was done! …and then I heat embossed in Copper a few of the other flower images in the Feathery Friends stamp set on the envelope flap. Et Voila! I love the images in this stamp set – they’re fun to color and oh-so-pretty! Hope you like! You’ve only got 3 more days to take advantage of my Eastern Palace Ordering Special! Don’t miss out! Today, Finn had a visitor. Who brought hot dogs cut up into little pieces. We asked a dog trainer friend of ours to come help us learn how to use an electronic collar with Finn. We wanted to be sure we were training him correctly with the collar. 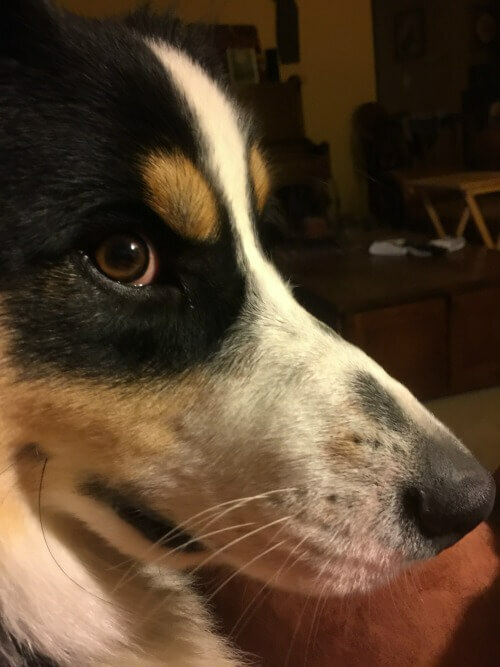 So – let’s be clear, cuz I can hear you all gasping in horror and shock and getting ready to un-subscribe to the dog-abuser’s blog! The collar has multiple settings. On “1” – which is where we use it, I can’t feel it at all. I thought it wasn’t working. But – Finn feels it – and can hear the tiny hum, I suppose. And it annoys him. The purpose of training him is to teach him how to turn the annoying hum off. Answer? Come back. When you come back – the humming stops. That’s an artifact from training horses. Apply some pressure and instantly remove it when they make even the slightest attempt to do what you need them to do. And a horse learns it pretty quickly. An Aussie will learn it at the speed of heat. So please. Don’t hate me. Don’t unsubscribe. We’re doing this to ensure that the single most important command in any dog’s repertoire (COME or HERE!) will be obeyed every time. It could save his life one day. Learning it, though, is hard work. This is him right after we got done. He can hardly keep his eyes open. I’m flopped in the chair. Stampin’ Up! Artistically Asian Color Theory DSP Sneak Peek! A little tidbit…remember the bindings on the 6″ x 6″ paper stack? That rubber stuff that held the papers together? Well – its gone!! Yeah!! SU! listened to us griping and it’s gone!! I started with a piece of the Color Theory paper – in Berry Burst (the stack also features Old Olive, Crushed Curry and Dapper Denim) – and, using my Stamp-A-Ma-Jig, stamped the Artistically Asian floral image in Basic Black Archival Ink. I also added the sentiment in Basic Black. I matted the panel on a piece of Basic Black card stock and then on a second mat of Berry Burst. And – yep. That was it for the card front! On the inside, I used the same Artistically Asian image. I inked it up in Berry Burst ink, stamped it off 4 times on my Grid Paper, then stamped it in the middle of a Whisper White panel. I double matted the panel on Basic Black and Berry Burst and then SNAILd it into my Basic Black card base, popped the card front on with Stampin’ Dimensionals, and the card was done! …and then I added another piece of the Berry Burst Color Theory DSP to the envelope flap. Et Voila! This one was so quick and easy, y’all – but I think it’s gorgeous! And – you could do the same exact card on all four colors in the beautiful Color Theory DSP Stack! Hope you like…and have just added this beautiful stack to your Wish List! You’ve Seen the Sneak Peeks…. 8 April 17: Demonstrators attending Stampin’ Up! OnStage got to see (and pre-order!) the new 2017-2018 catalog!! Demonstrators were allowed to share sneak peeks of new catalog items we saw at the OnStage event! At the same time, the new catalog became available online for DEMONSTRATORS ONLY! 10 April 10 – 31 May 17: Retiring products are available WHILE SUPPLIES LAST – don’t delay, items are going fast! 31 May 17: This is the very last day to order from the Annual catalog and Occasions catalog – for items still in stock. 1 Jun 17: first day for customers to order from the NEW 2017-2018 catalog!! Whoo-hooo! 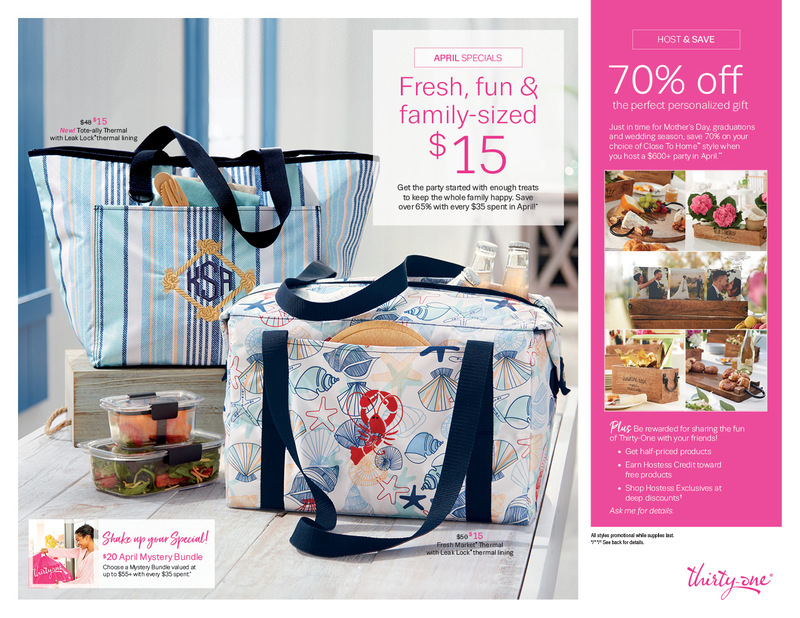 I’m just assuming YOU want your own copy of the new catalog!! How can you get it? Mid-May 2017: I’ll be mailing a new Stampin’ Up! catalog to anyone on my customer list who has made a $50 or more purchase in the past 12 months. PLEASE, if you are one of my regular customers, log in to your online account (here), click on your Account Information and verify that your mailing address is correct so that you’ll get your new catalog quick as you can! So, didja notice that there are some pretty cool perks for being a demonstrator!?? This is such a fun time of year to be a Demonstrator, cuz seeing the new catalog early and getting to pre-order and play with the new goodies…well. It’s a heckuva a lot of fun and I’m so excited for this weekend! If you want to share in the excitement, you can join the Stampin’ Up! family and my Critters-N-Creatin’ Krew TODAY and you, too, can see the new catalog on Monday, 10 Apr!!! Check out more details HERE, or click the link below to join the Krew! Tomorrow is the Happy Inkin’ Thursday Blog Hop – so look for me in your Inbox at 7am Eastern! Our friend Paul came to visit – and Finn was….ecstatic! He had a great time – even though it’s a LOT OF WORK!! When Paul left about mid-morning. the Finn-ster crashed. Hard. He slept for an hour. He was still tired when it was time to go get the mail. Decided to ride. Still keeping a sharp eye out for any danger – it’s Figment Season here in Georgia, after all. Those boogers pop out from anywhere – and you really never know which direction they’re going to come from.